By day three of the workshops, my head was spinning with ideas. I was waking up before sun rise and couldn’t explain why, but I wasn’t going to fight the inspiration. 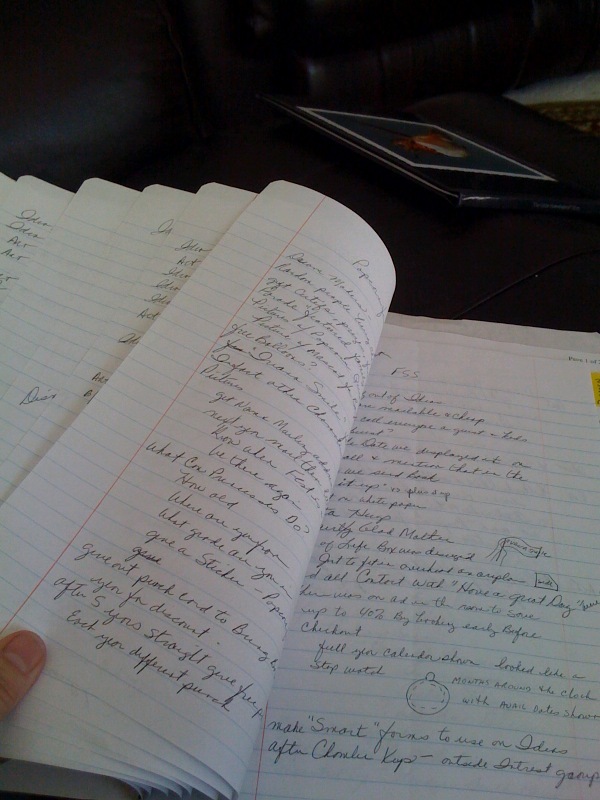 I began to journal the ideas as they flowed so freely at this ridiculous hour. One particular idea came from an event on day 1. We had just returned to the classroom after our Duckburg Activity, the door flings open and in walks the most gregarious, sassy, tiara wearing fairy princess that Disney ever created. Her name was Ivana Dream and she began to dish out an adorable mix of witty and playful banter to the unsuspecting participants. After picking on a select few and sufficiently embarrassing them, she left as quickly as she came and warned that she would be back when we least expected her in the coming days. She did just that, and brought a delightful intermission with each visit. When I returned to Indiana, I spent hours briefing my daughters on my D.I. experiences. Since we don’t live in Orlando and will never get to experience the magic of being a Disney character, was there a way we could create our own magic in Valparaiso Indiana? 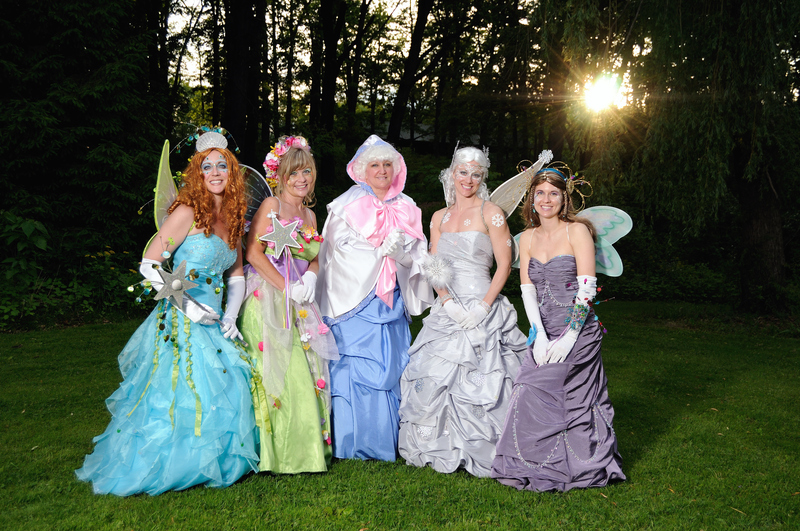 After 4 months of creativity, brainstorming and teamwork the Flanagin Fairies were born. In the coming posts you will see what went into making the costumes, our image and what exactly happened with our début appearance. Random me: I studied Latin in high school. The magic and enthusiasm of the Disney Institute workshop is over, now what? 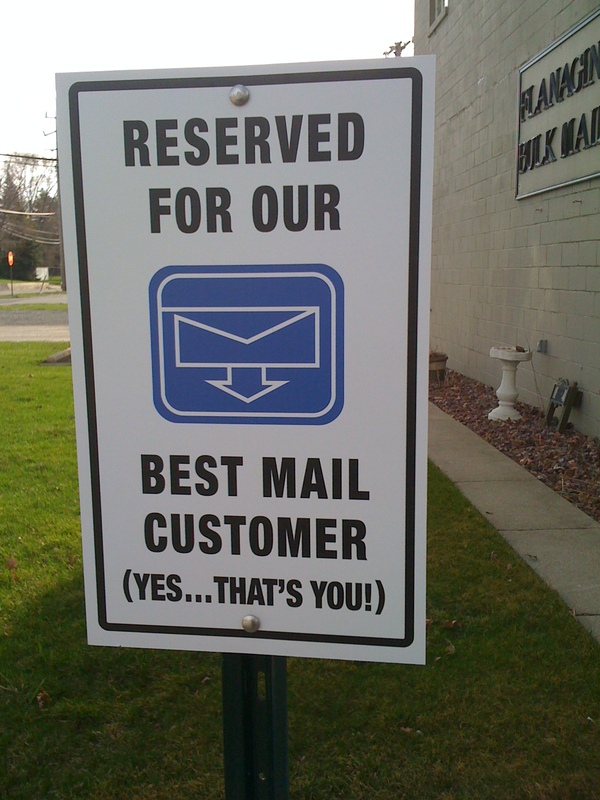 This post is about exactly that, for a small bulk mail business in Indiana. Ever wonder why you get that magical feeling when you are at Disney, thinking of going to Disney or even talking about Disney? Where is that feeling coming from and why don’t you feel it when you go to a local theme park, water park or retail store? Why is it so fun to buy that adorable Cinderella dress in Downtown Disney and not as fun when you buy the same dress at your local mall? How is Disney training and retaining so many employees while paying them a moderate wage? Well, many of the world’s leading businesses wondered the same thing and began to ask Disney how they do it. Thus, the Disney Institute emerged. Now businesses from all over the world and even small businesses from Indiana are attending their workshops and learning how Disney does it. How awesome is that? How many businesses do you know that give you their “business blueprint”? Have you ever taken a Disney Tour like Backstage Magic or Keys to the Kingdom Tour? If you have, you may very well be a Disney Institute alumnus already. If you haven’t, you should! The tours are a “must do” for all Disney FANatics. Oh and guess what else? Once you are a Disney alumni, you get a discount on all other Disney Institute programs. Disney Institute – “Plus it up”, what the heck does that mean?! The magic and enthusiasm of the Disney Institute workshop is over, now what? This post is about exactly that, for a small business in Indiana. If you have attended a Disney Institute workshop, you know that Disney has a term called “plus it up”. What this means is, once you have your idea or project done and ready to go, take one more look and see if you can make it just a little better (plus it up). The example they gave at the workshop was from a scene in Roger Rabbit. There was a hanging lamp over a table in one scene and the lamp gets bumped and begins to sway back and forth. It made no real difference to the movie and the average viewer will probably not even notice. It did however add a lot of production time to that scene. Why did they bother? Because they wanted to make that scene just a little bit better. They “bumped the lamp”, another way they refer to “plus it up”. Next time you watch the movie, check it out. 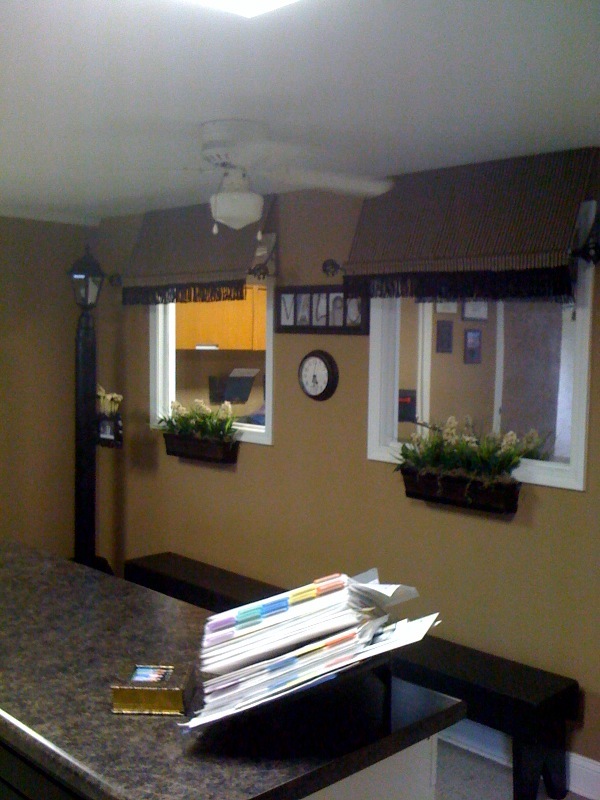 In my last post I told you I would let you know what we did to “plus up” our project. 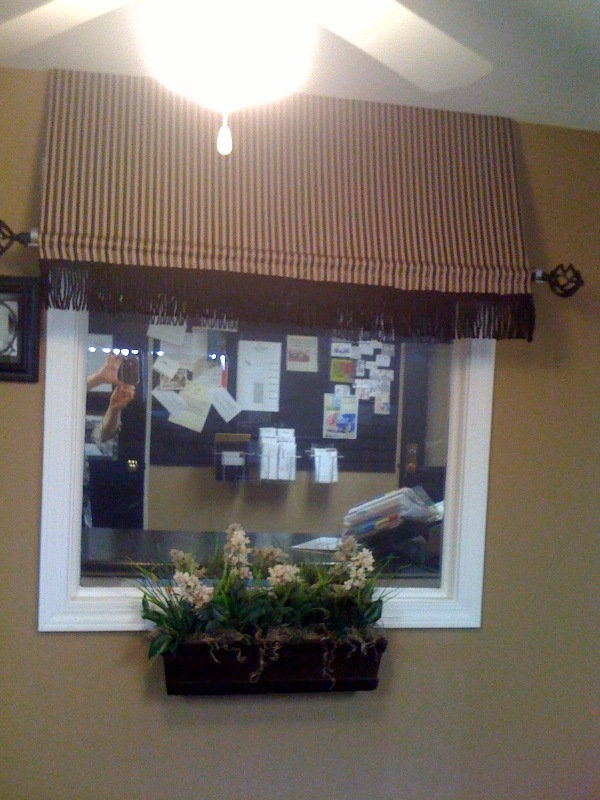 The basic room is finished in the above picture but it didn’t have the right atmosphere yet. 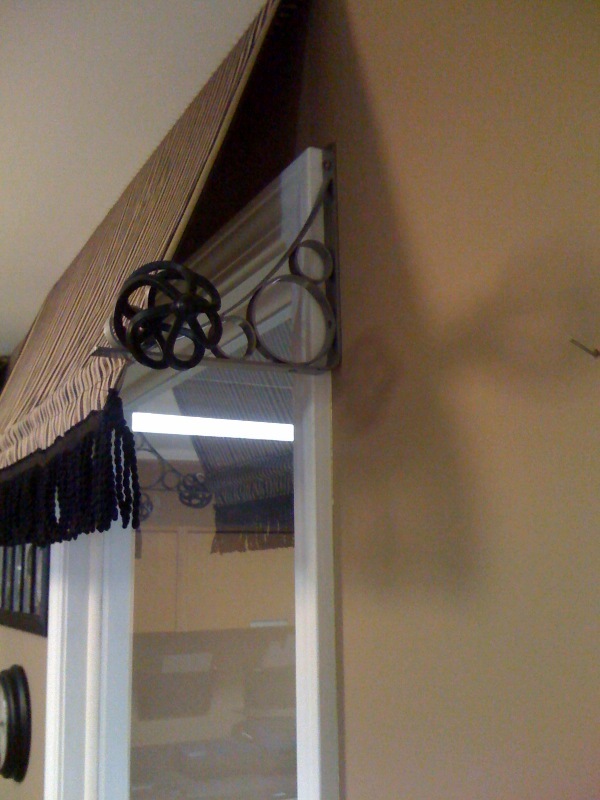 The awnings were giving it an outdoor feel, so we went with that idea. 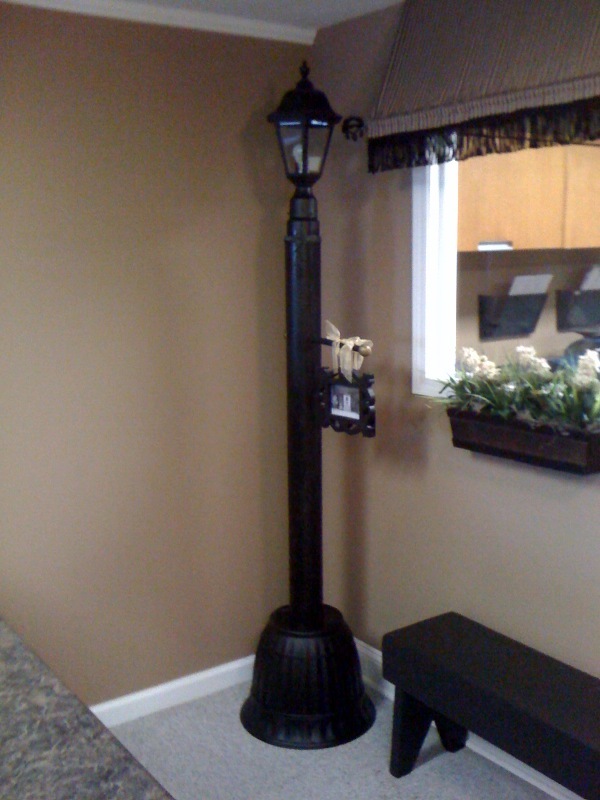 We added the flower boxes…..
and an old-fashioned lamppost (we actually made this lamppost)……. 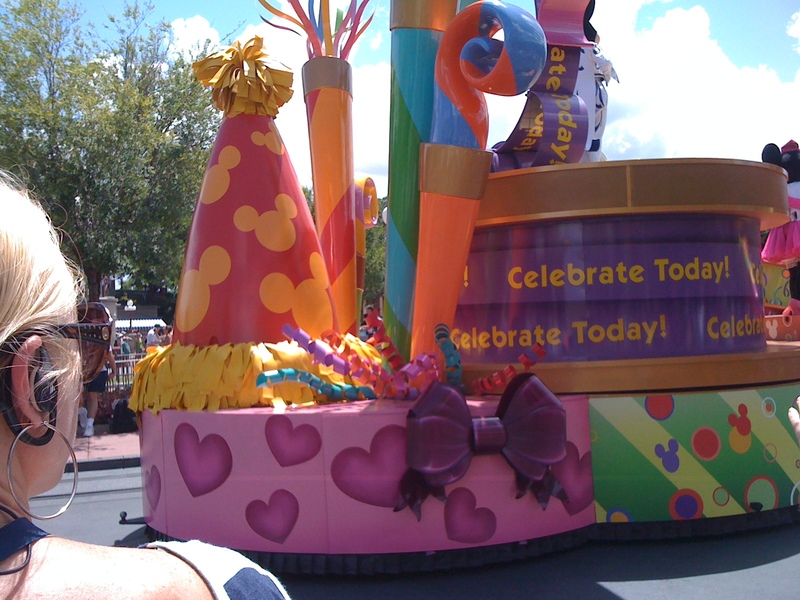 Remember that unexpected hidden Mickey I mentioned in my last blog? Random me: I married my high school sweetheart. This post is about how the Disney Institute transformed a small business in Indiana. One interesting exercises at the Disney Institute workshop was to choose one particular vision for your company and how you plan to implement that vision. 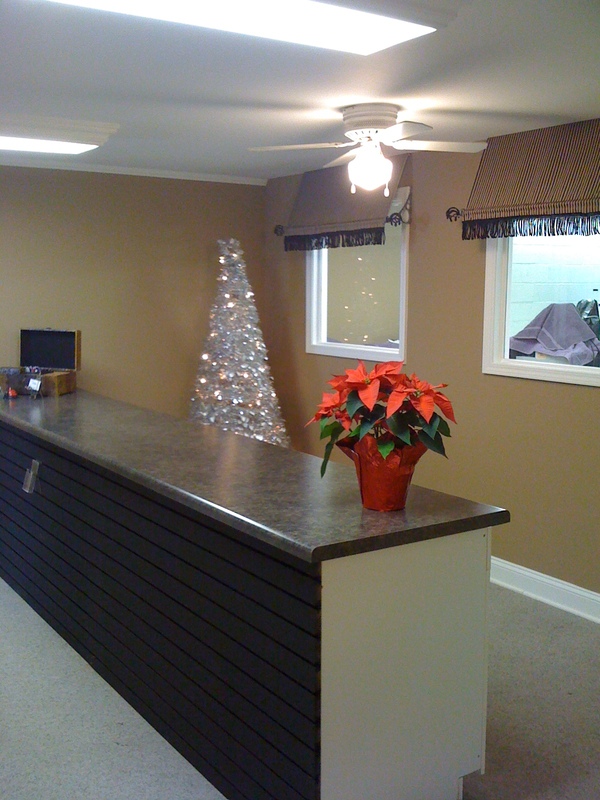 I chose to remodel our reception area to better serve our customers and give it a more inviting atmosphere. It was hard to accomplish once I returned, because of limited finances and a relatively small space. Two years after the workshop, and in the midst of the failing economy, I found myself doing a major remodel. Was the timing bad or was it perfect? I started with three non-negotiable improvements; a convenience counter for drop off and pickup, a separator wall to protect the privacy of the customers’ mail, and create a better atmosphere. Once that was accomplished, it was time to take it to the next level. This is when the fun begins, take an idea and make it just a little bit better. The Disney term for this is “plus it up”. 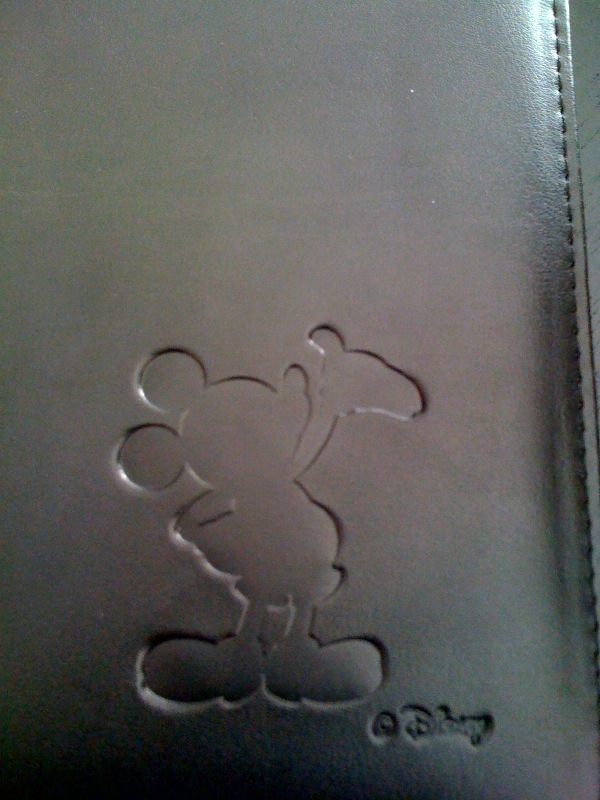 In my next post, you will find out how we did that and how we ended up with an unexpected “Hidden Mickey”. During the Disney Institute workshop, we were instructed to list the points of contact with our customers. 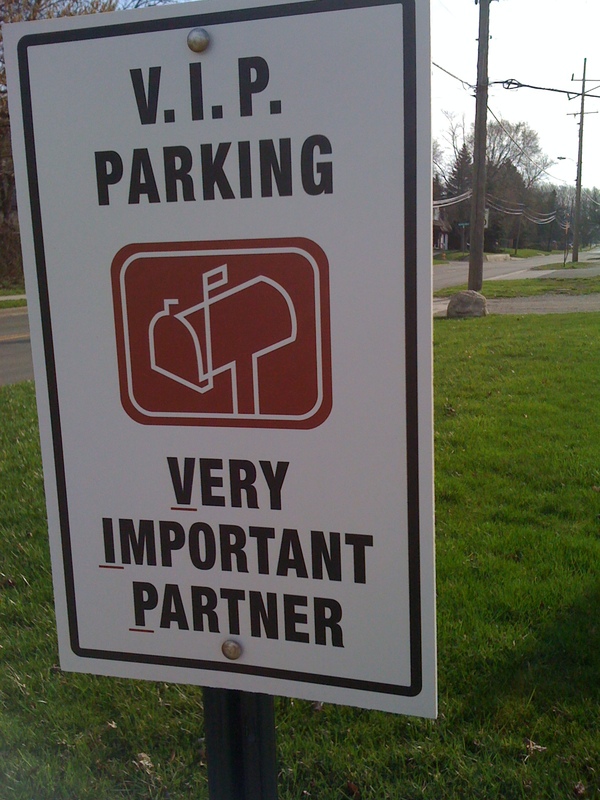 A point of contact is any representation of the company that a person comes in contact with; phone calls, meetings, brochures, even your parking lot. The goal is to turn each contact into a positive experience. While making my list, I had a thought. How could I put a smile on my customer’s face even before they walk in the door? 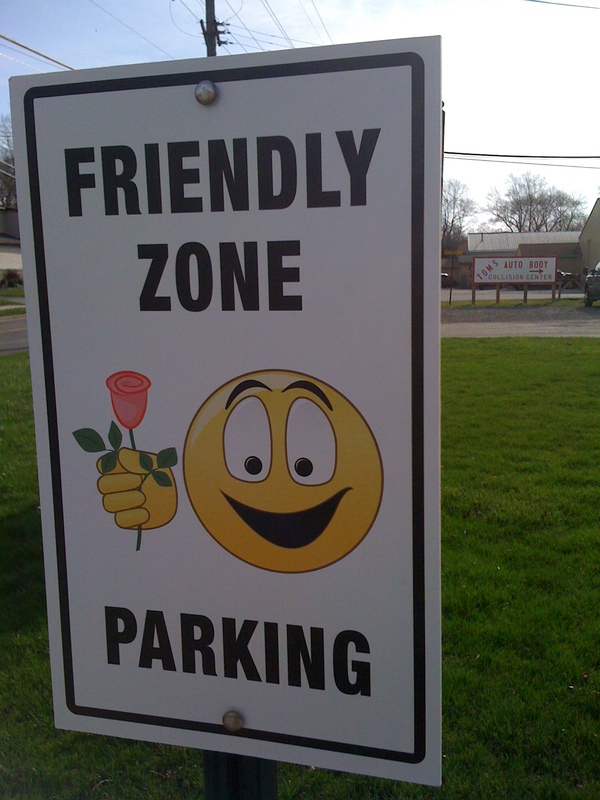 What would let them know we appreciate them and that we have a sense of humor even before we greet them? Voila ……. 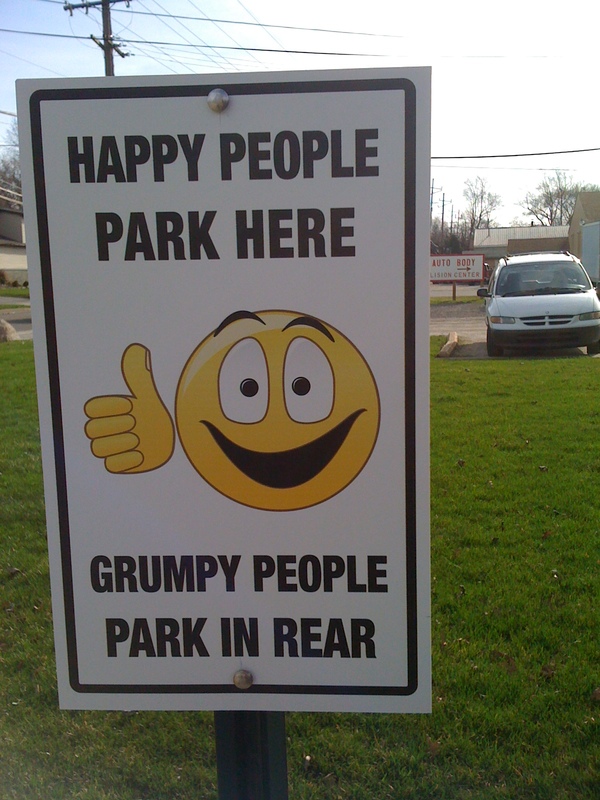 FUNNY PARKING SIGNS! Disney calls them the “front line”, we call them the “heart beat” of our company; the employees that are in the trenches, dealing with the public and just plain indispensable. The front line is full of valuable information that can help with leadership decision-making. Who knows more about your customers’ needs, complaints or struggles? On the first day of the Disney Institute workshop, we participated in a leadership exercise called the Duckburg Activity. It was a delightfully funny, eye-opening experiment in communication. It focused on the difficulties of being a front line employee without proper communication from the leaders. I was able to reproduce this activity for my employees. It was great fun watching them try to figure out what was going on, the quiet confusion and the eventual success. As a result, we started early morning meeting for better communication. We started to look for ways to make the front line job easier or more efficient. 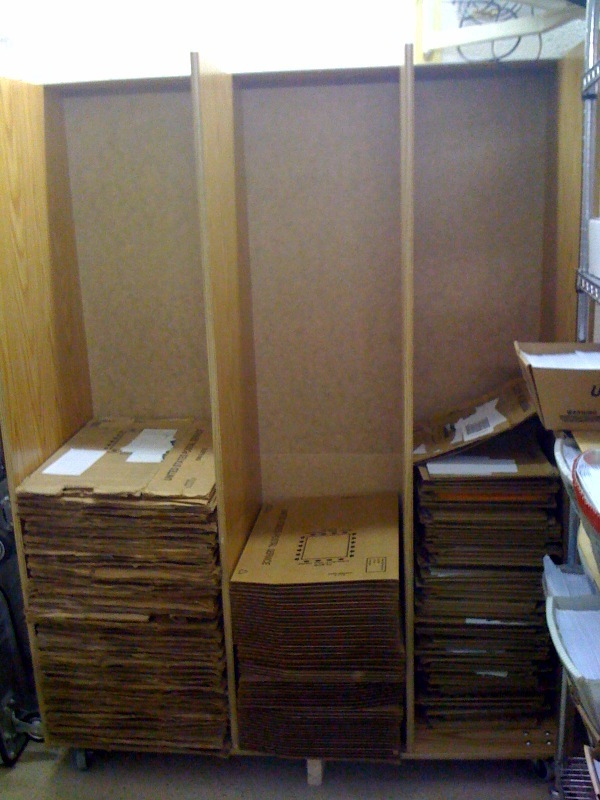 Through that process we discovered that too much time is wasted restocking supplies. 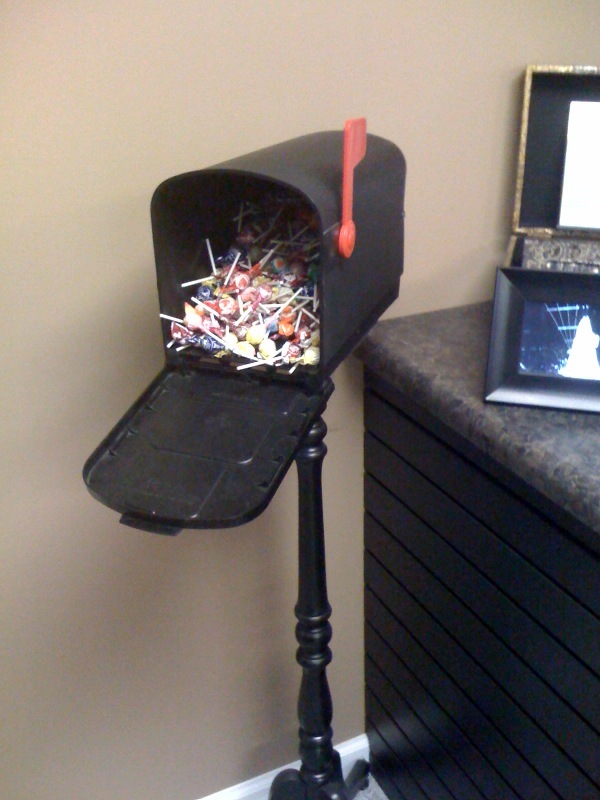 We were able to devise a system to hold larger quantities of our mailing product. A task that was once done daily is now only done once a week. Somewhat insignificant, right? Not to our front line. Random Me: I’m a cat lover. This post is about how the Disney Institute influenced a small business in Indiana. Leadership excellence > leads to employee excellence > which leads to customer satisfaction > which leads to repeat business and financial gain. Seems simple enough, right? If it works for Disney, why doesn’t it work for every business? The truth is, it can. The key is leadership. How does leadership translate to employee excellence in a small business? One way is by building a relationship with your employees. Get to know them. How do you do that? Simple, just ask. Have you ever asked an employee what would make their job more enjoyable? How about what their favorite dessert is or their favorite restaurant? After completing the Disney Institute course, I did exactly that and the answers were surprising. 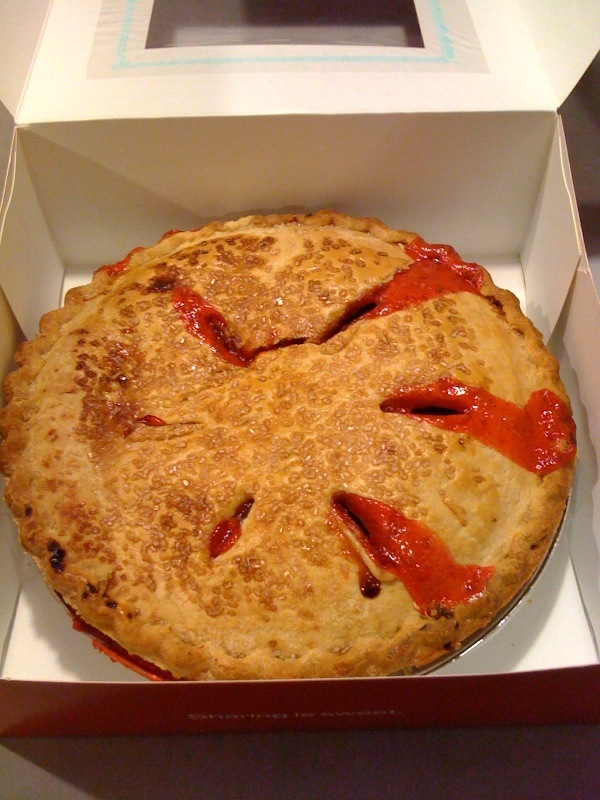 I never knew that strawberry rhubarb was Judy’s favorite pie, that roses were Erica’s favorite flower, that Monica particularly likes surprises and that Debbie loves homemade bread. Monday is Judy’s birthday, guess what will be waiting for her? Random me: My favorite flower is a carnation. 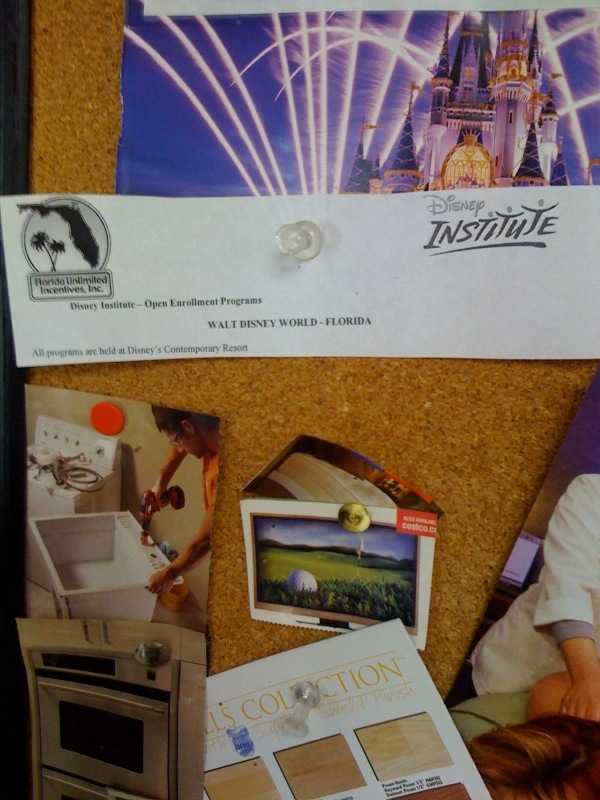 I really wanted to attend a Disney Institute workshop so I added it to my vision board. Locating the D.I. website was easy enough, deciding on which course was not so easy. My dilemma was two-fold: justifying the cost and which course would have the biggest impact on my business. For the next two years I watched the course schedules, but failed to get off dead center. You see, I was probably only going to be able to afford one class, so I needed to be sure I was making the right choice. And then in early 2008 an unexpected email arrived with my silver platter. For the first time ever The Disney Institute was offering a 5-day program with all 5 courses, in Orlando. My heart was racing, it was now or never. Could I afford it, could I leave work and did my husband have time to go along? Disney designed this one just for me, well maybe not just for me but it sure felt like it. Decision made – I was going! I was moving this one to the completed side of my vision board(two years later)! Random Me: I was a majorette in high school. Disney Institute – My First WOW! I still vividly remember the day, it was January 22, our facilitator was Mark Matheis and the tour was Backstage Magic. Why do I remember this day after all these years? Because it was my first experience with the Disney WOW. The tour was jam-packed with fun Disney facts and “secret” places. Places that most people only dream of seeing, like the corridor under the Magic Kingdom, the daunting holiday decoration warehouse and a special visit to the Disney Florist, to name a few. During lunch at Mama Melrose (I highly recommend the wood fired grilled chicken with 4 cheese sauce), I overheard a fellow tour member and Mark discussing a Disney Institute workshop geared toward businesses. Had I heard correctly? Were they actually discussing an educational door I was longing to walk through? Upon completion of our day, I thanked Mark for the fascinating and informative tour and casually mentioned to him that today was my birthday. I then looked for a place to relax and call home to tell my daughters all about the tour. While on the phone, Mark came running up to me said, “Oh, I’m so happy you’re still here, I wanted to give you a little something for your birthday.” He placed a Disney trading pin in my hand. 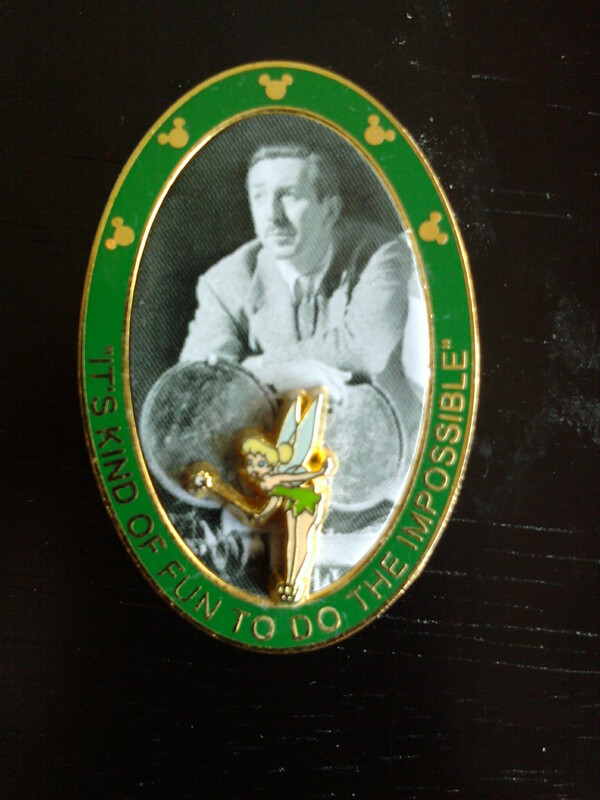 Not just any trading pin, it was a trading pin that he had a small part in helping create. I began to quietly cry. Outside of my husband, Mark was actually the first person to wish me happy birthday that day. A relative stranger went out of his way to wish ME happy birthday. WOW! WHY? I never envisioned that the Disney Institute (D.I.) would transform my business, but I must confess, it did. Don’t get me wrong, it didn’t happen overnight. In fact, it has been an ongoing process ever since my first Back Stage Magic tour in 2005. That tour led to a full 5-day workshop Disney’s Value Chain Unlocking the Magic in your Business in 2008 in Orlando Florida and subsequently a Keys to Excellence workshop later in 2008 in Indianapolis, Indiana. In the coming days, I plan to blog about my D.I. 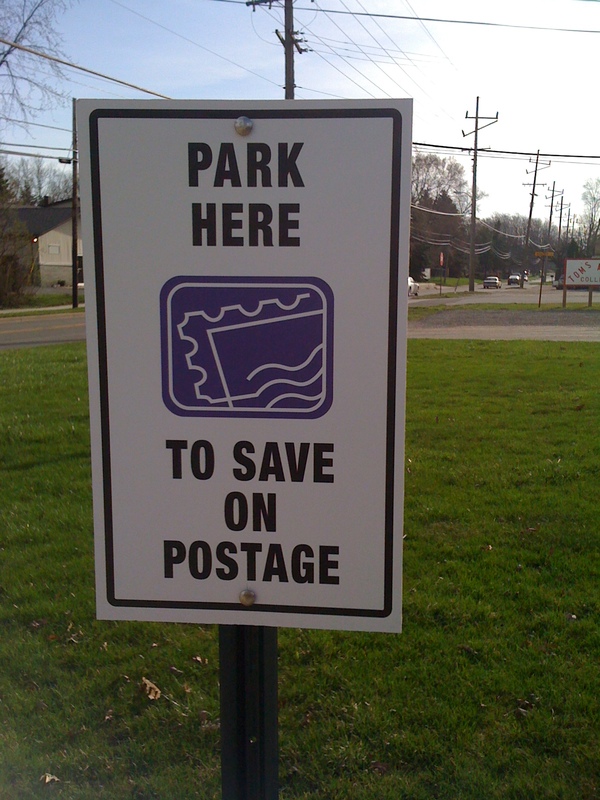 experiences and how they affected a small Bulk Mail business in Valparaiso, Indiana. I will give you my perspective, details and photos on what I have learned and how I have implemented it into my business. I have no affiliation with D.I., I just want to share my thoughts. I began with the misconception that the D.I. workshops were geared only towards large wealthy corporations with CEO’s, COO’s, CFO’s or any other “O’s” you can think of. The truth is the workshops are beneficial to any business, large or small it doesn’t matter. What does matter, is what you do with the information after you leave the excitement of the facilitators and the workshops. I now realize that I too am the C.E.O. of my small business, Chief Excitement Officer. Who knew? I will confess right here and now that I was scared to death to put myself in the same room with these huge corporations, but I am so glad I did and I have no regrets. Thanks for reading and have a wonder-filled day. Random Me: I like summer rain storms.